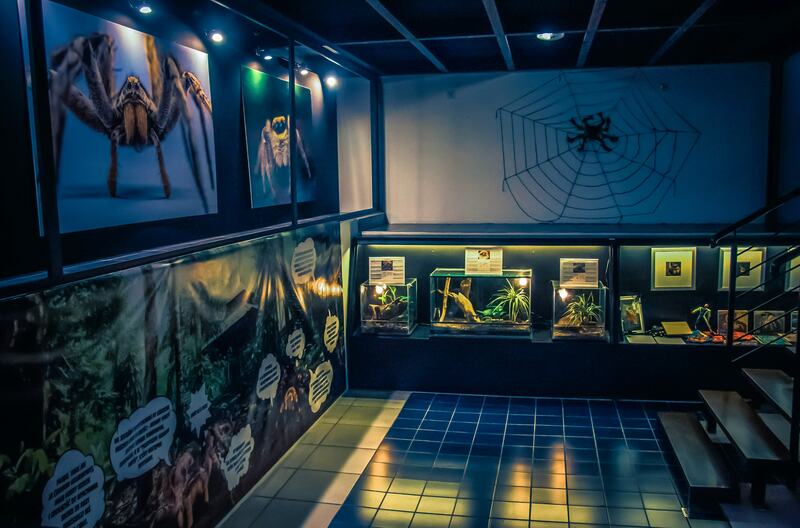 AMAZING, EDUCATIONAL EXHIBITION ABOUT ARACHNIDS. 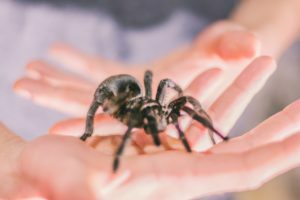 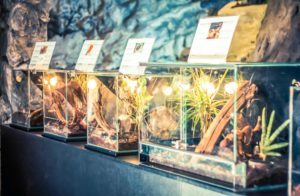 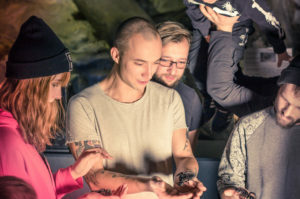 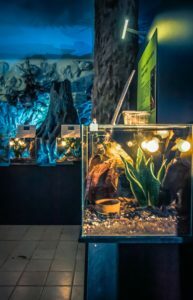 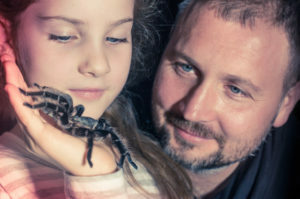 AMONGST 50 LIVE SPECIMENS YOU WILL SEE THE FAMOUS “BLACK WIDOW” (LATRODECTUS MACTANS), THE BIGGEST SPIDER IN THE WORLD (THERAPHOSA BLONDI) AS WELL AS THE PANDINUS IMPERATOR – THE LARGEST SCORPION. 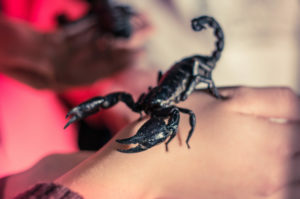 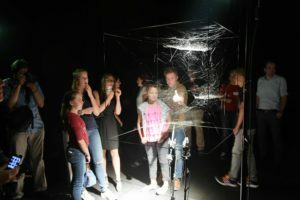 TOGETHER WE WILL BUST POPULAR MYTHS, WE WILL TELL YOU WHY SCORPIONS SHINE IN UV LIGHT AND SHOW THAT THE SPIDER IS NOT AS SCARY AS IT SEEMS TO BE. 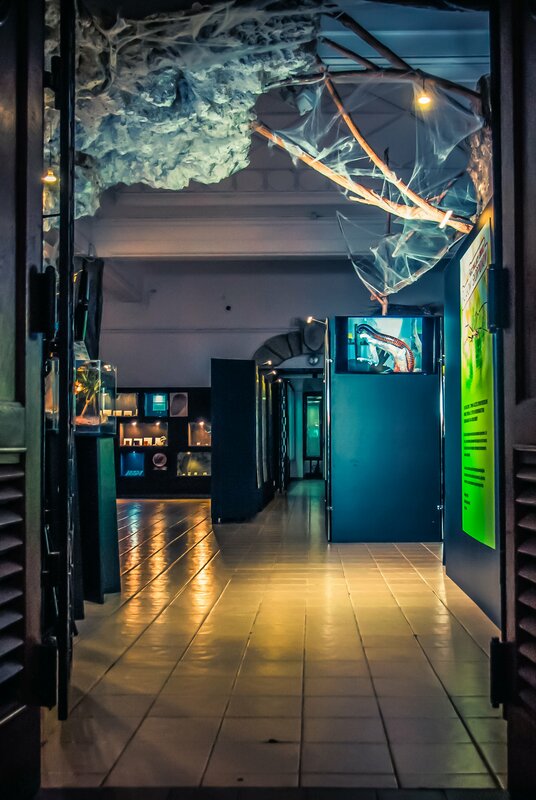 In the interiors of our exhibition one can feel like a real traveller who is discovering the unknown planet inhabited by these exceptional creatures. 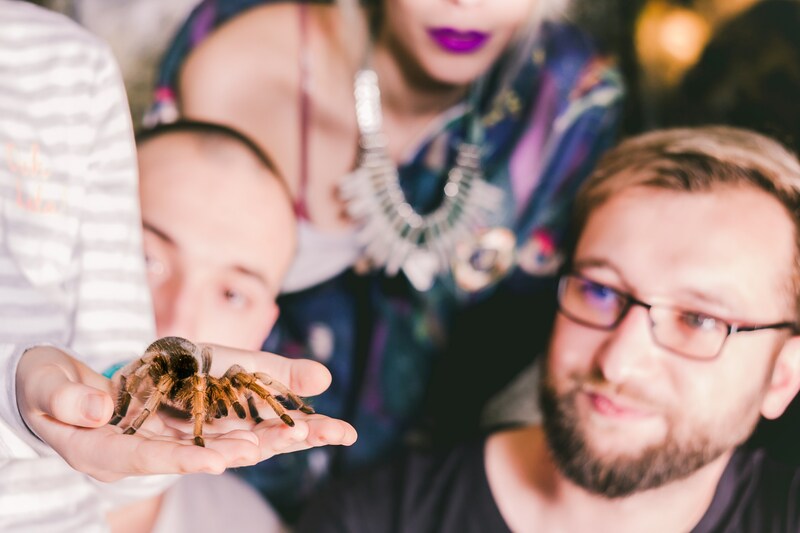 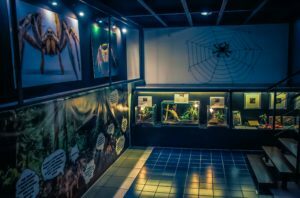 Araneus uses solutions that let the visitors get close to the mysterious world of spiders and scorpions safely and comprehensibly. 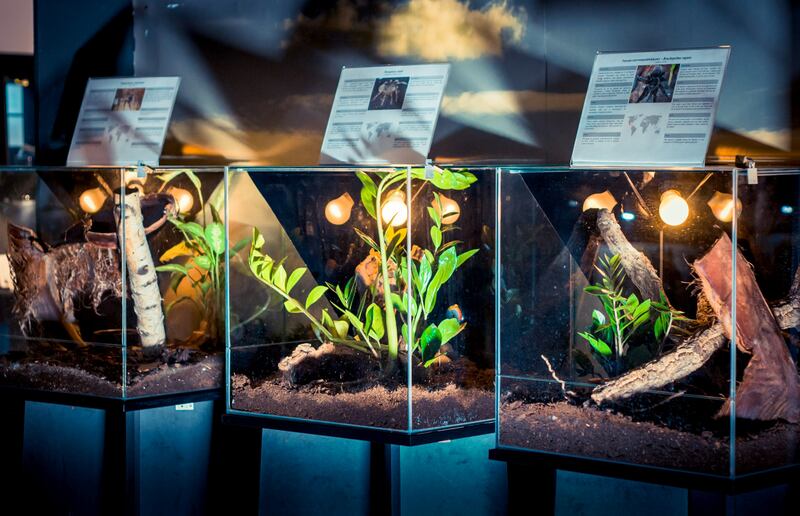 We guarantee a real feast for the eyes. 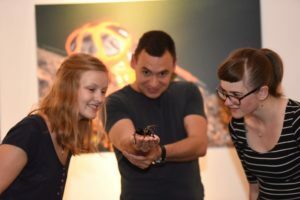 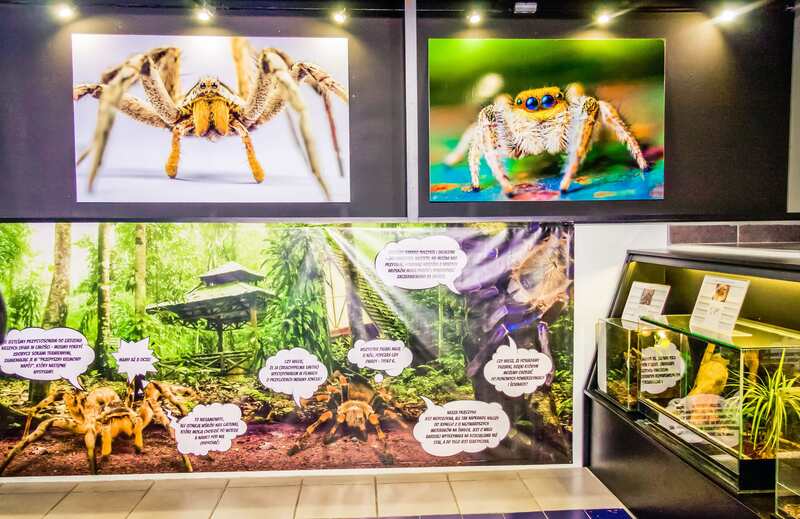 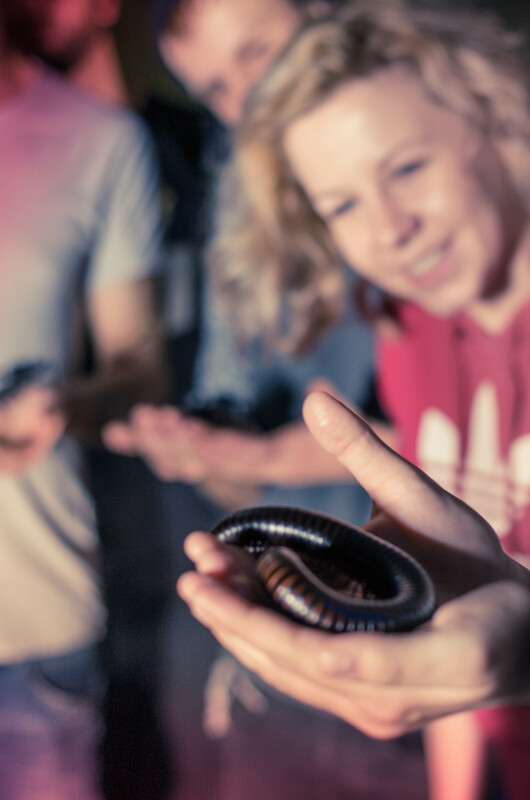 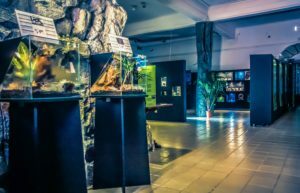 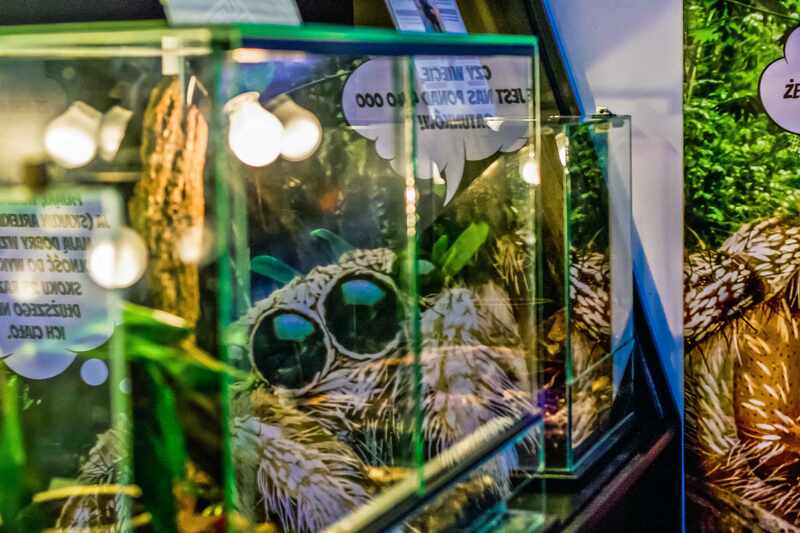 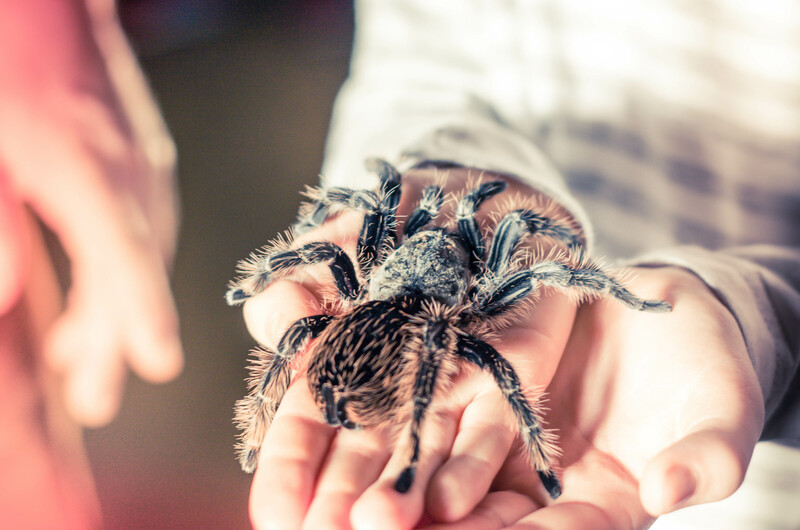 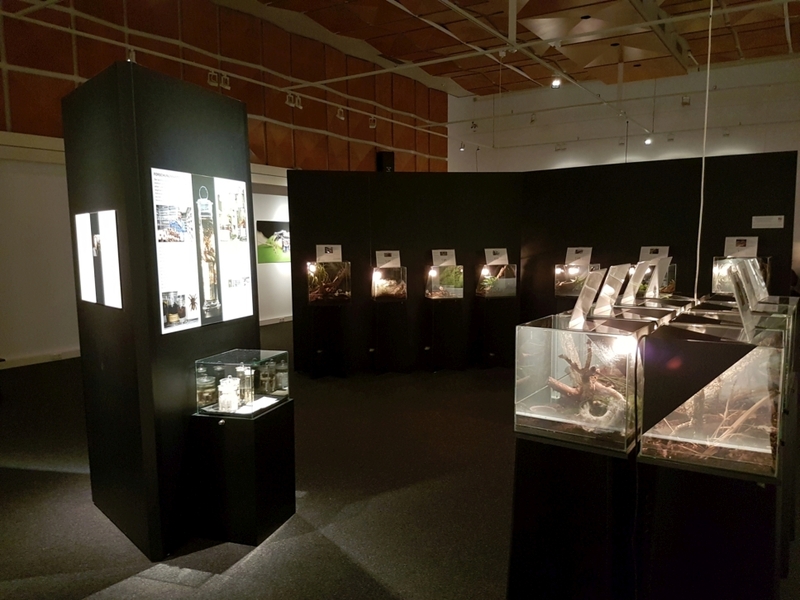 Our exhibition consists of more than 50 species of spiders, scorpions and other arachnids, which represent a cross-section of the arachnid diversity from different continents. 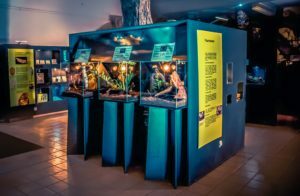 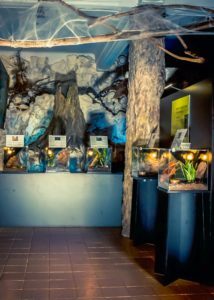 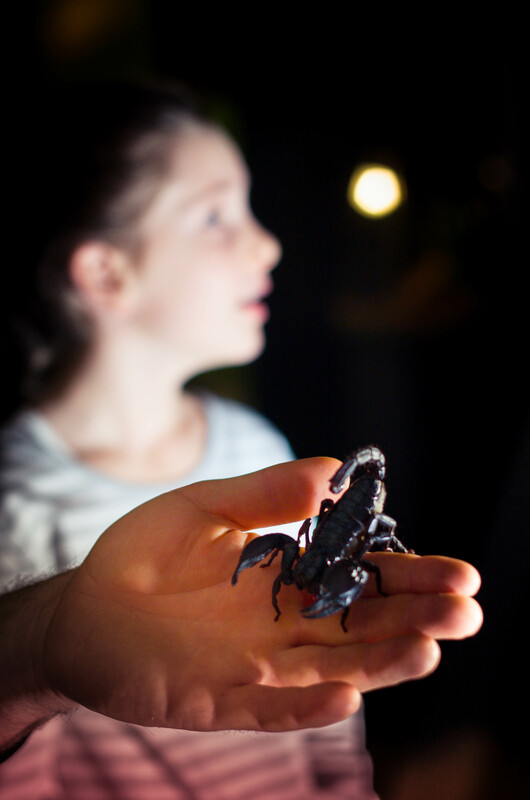 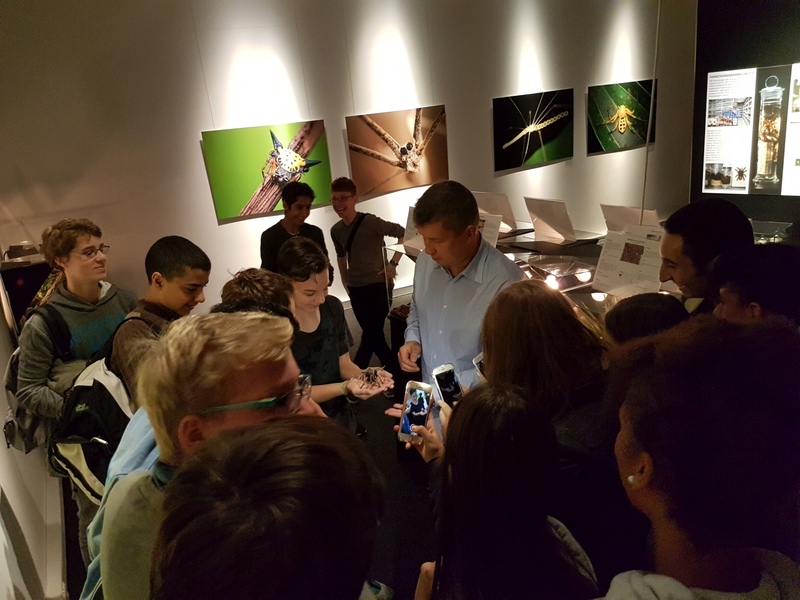 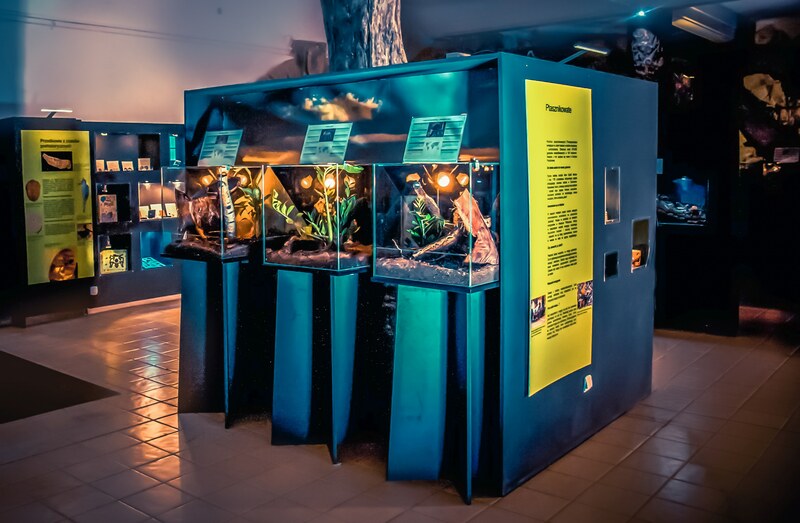 The exhibition is a one-of-a-kind opportunity to learn about the amazing world of phosphorescent scorpions. It is also the answer to the question of how a deadly black widow functions in everyday life. 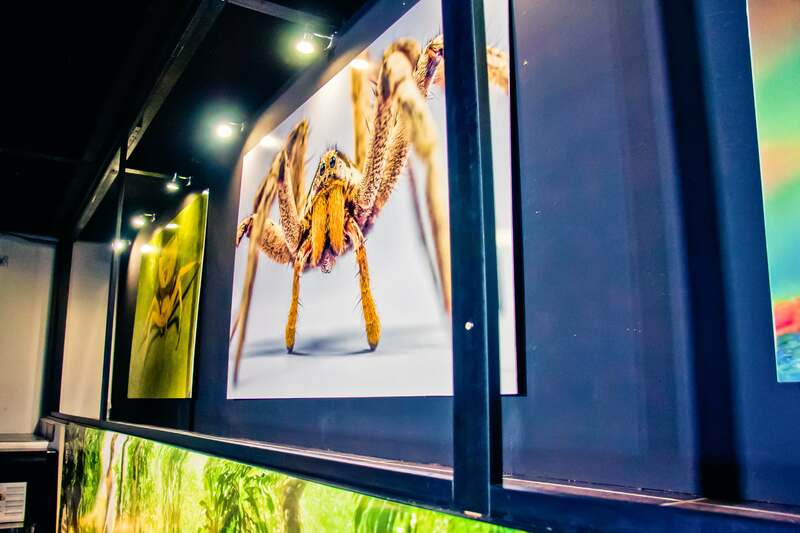 to discover the beauty of these exotic animals. They will find them on your exhibition! 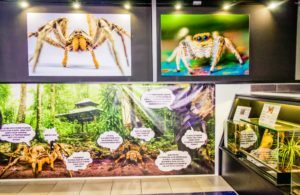 Among more than 50 animals you can see: the infamous „black widow” (Latrodectus mactans), the largest spider on our planet, the „Goliath Bird-eater” (Theraphosa blondi) and the largest scorpion (Pandinus imperator). 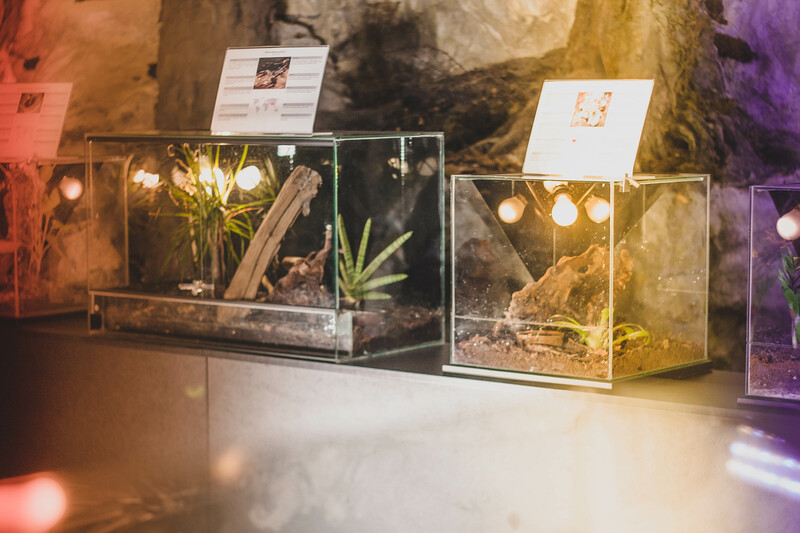 Glass terrariums that are closed ensure safety and let the visitors take photographs and videos of the specimens. 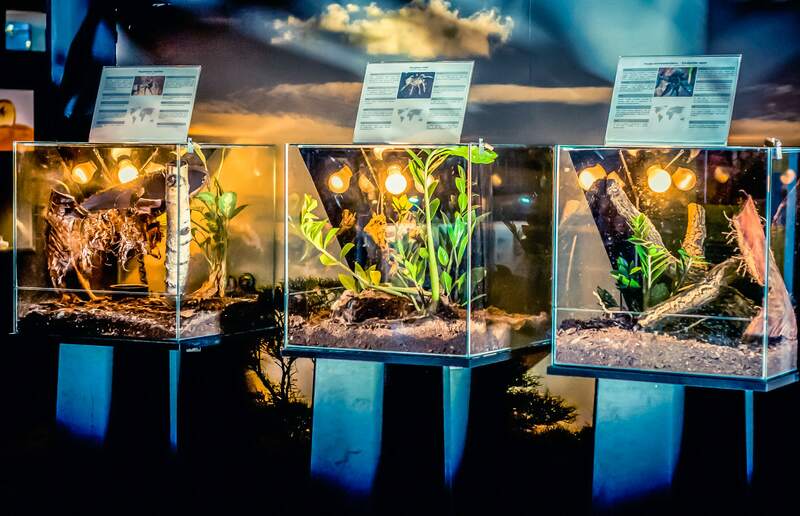 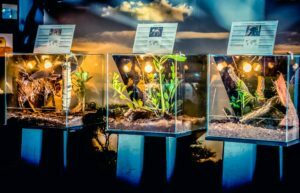 The way the terrariums are built provides almost identical conditions of the natural habitat of the particular species. 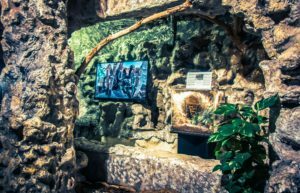 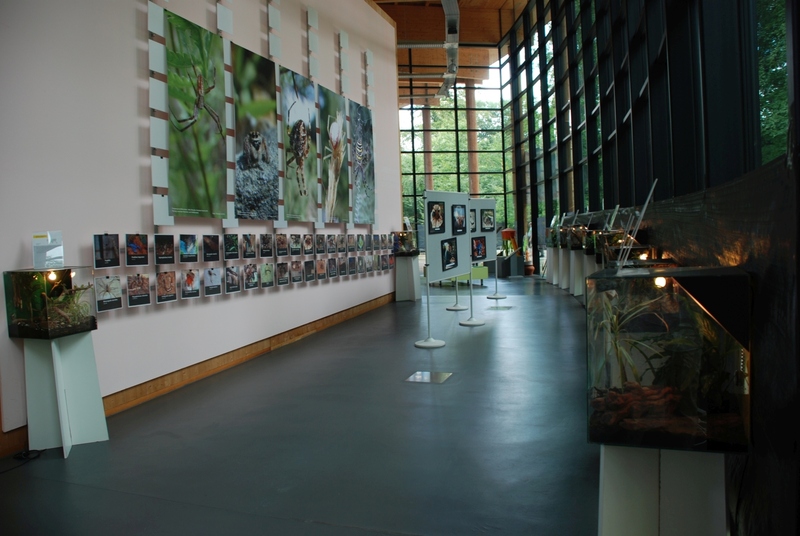 Rich descriptions and information boards enable visitors to learn in the exhibits about our nature. 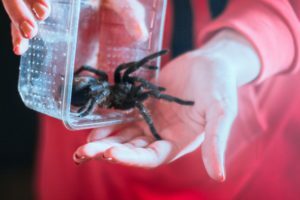 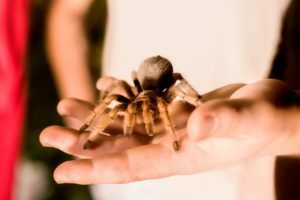 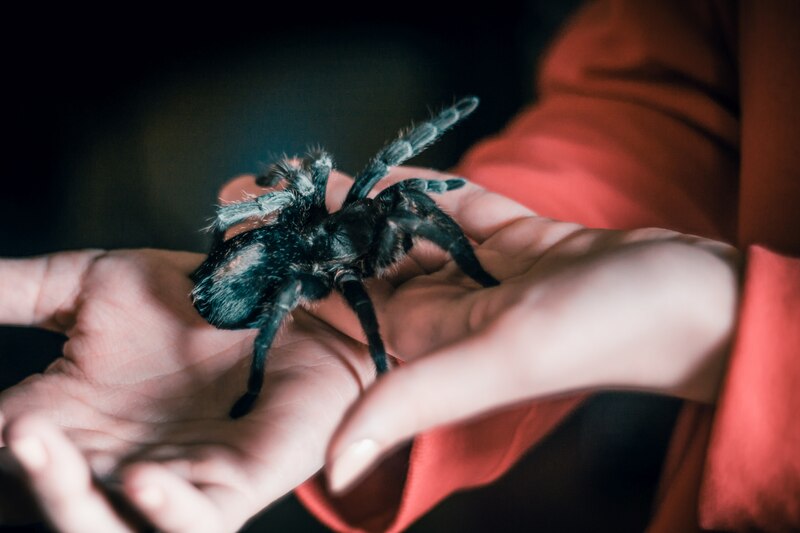 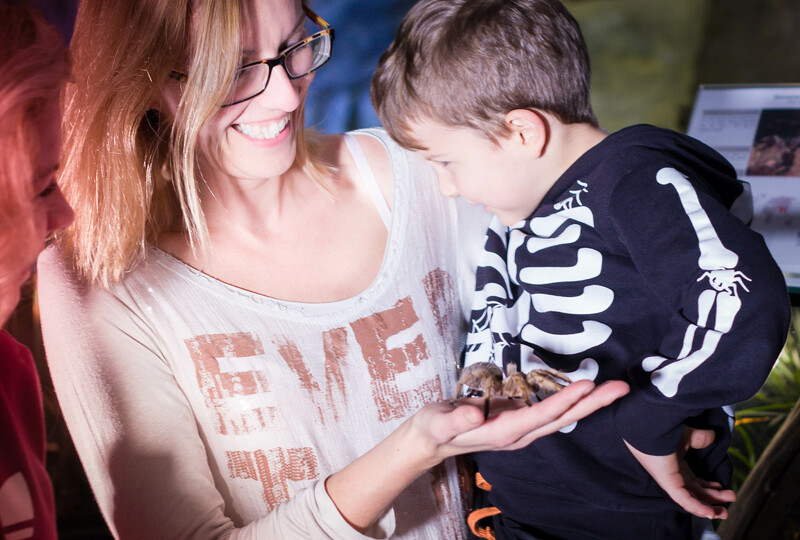 We will also let the visitors to hold spider on the hand and take close photographs with the assist of our professional employee. 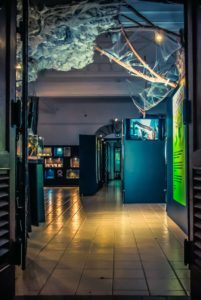 The exhibition gives an opportunity to compare urban legends to reality and this opportunity should not be missed. 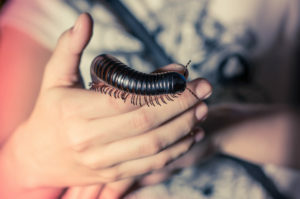 It satisfies the curiosity of amateurs and nature lovers as well as professional breeders of these unusual creatures. 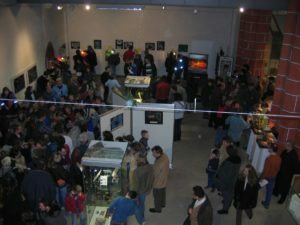 WE ARE NOT ONLY THE ORGANIZERS OF THE EXHIBITION “FASCINATING WORLD OF SPIDERS AND SCORPIONS”. 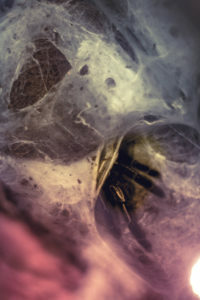 WE BREED ARACHNIDS AND KNOW PRECISELY HOW TO CARE ABOUT THEM. WE PROVIDE VETERINARY DOCUMENTATION AND SAFE TRANSPORTATION FOR THE ANIMALS. 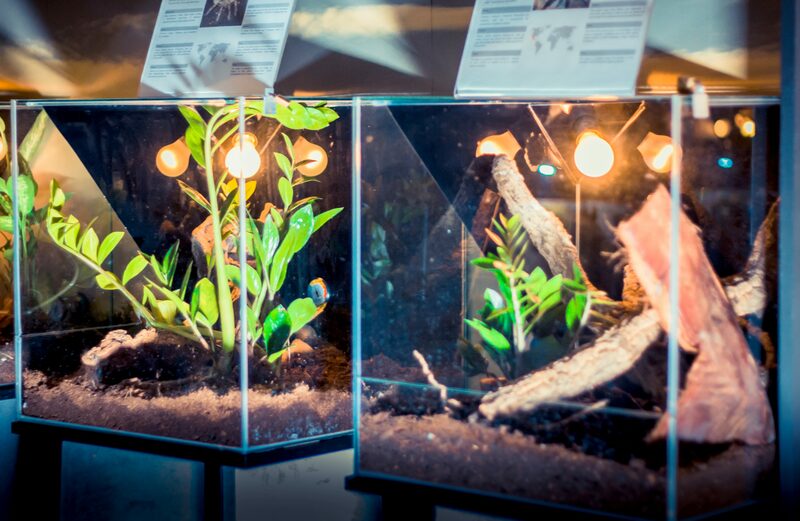 WE ARE TRUSTWORTHY COMPANY THAT WILL BRING PIECE OF EXOTIC WORLD INTO YOUR PLACE. the company focuses exclusively on organizing exhibitions around europe. 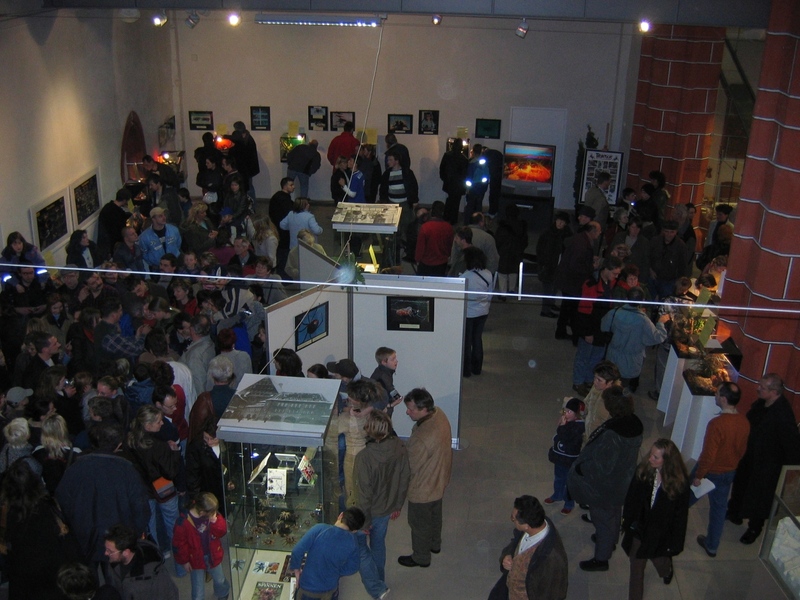 We have been present on the market since 1999. WE: EDUCATE, INFORM, HELP, PRESENT.